Gothic Dove Fixture Image – Interesting! 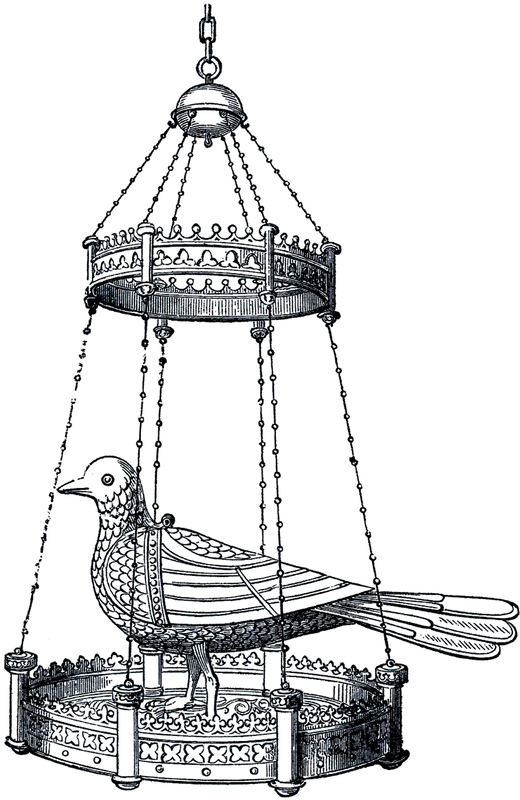 This is an interesting Vintage Gothic Dove Fixture Image! This one was scanned from a new addition to my collection, it’s from a rare Circa 1846 Ecclesiastical Costume book. Shown here is a metal Fixture with a metal Dove on it, I think it’s actually an incense burner. Such a beautiful piece! Vintage Clip Art – Paint Brushes – DIY Vintage Dress Form Ad – Amusing! Vintage Liquor Cigar Sign! « Mason Jar Recipe Card Printable! Thanks for the info Alana!